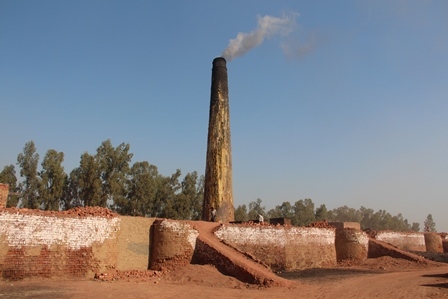 Three more cases of blasphemy accusations have emerged in Pakistan, even after a Christian couple’s beating to death and burning in a brick kiln after allegations of blasphemy horrified the world, including the metropolitan elite in the country. The Christian couple were killed over suspicions of desecrating the Qur’an on November 4. The Pakistani Prime Minister Nawaz Sharif expressed the resolve to bring the perpetrators “to justice” and appointed Senator Kamran Michael to be the focal person in the case. A copy of the Qur’an was recovered from a water channel in Pajian (Bus) Stop, Raiwind, on November 9. The Qur’an was handed to cleric Muhammad Hussein who runs a mosque in the nearby village. After this, an announcement was made from the mosque that desecration of the Qur’an had taken place. Talking to World Watch Monitor, Saddar Superintendent of Police Ejaz Shafi Dogar said that on that day most of the police had been deployed at the annual gathering of the Tablighi Jamaat (an Islamic religious movement that aims at spiritual revival), which is only a few kilometres away from the village. “The program had ended and we were near the village when the emergency call from the Christians was received,” said Dogar. “The police immediately took charge of the situation and resolved the matter peacefully. This all became possible because of the ready availability of the police; otherwise, things could have got worse,” Dogar said. “The method prescribed in Islam for discarding a worn out copy of the Qur’an is burying it but many illiterate Muslims, though wrongly, believe that the worn out Qur’an should be drowned in clean running water,” Dogar said. About 300 kilometres north of Lahore, nine Christians living in the capital have been named in a police First Information Report (FIR) only because their names were found on a list attached to the partially burned pages of the Qur’an. Naheed Ahmed, who runs a tea stall in Islamabad, lodged a formal complaint [no. 596/14] with the Industrial Area Police Station that on November 20 he found partially burned pages of the Qur’an when he was returning from the mosque after saying the early morning prayer. “Since 2001, violence and discrimination against Christians has increased. Seen as connected to the ‘West’ due to their faith, Christians have at times been scapegoated for the US-led invasion of Afghanistan, as well as the immense human suffering seen as a consequence of interventions in other countries with large Muslim populations”. Reasons for Christians’ high representation in the data also include poverty, lack of social or political strength, illiteracy, and the stereotypical perception among Muslims that Christians in general are against the country and their religion.